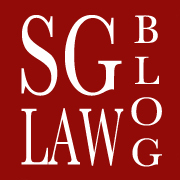 This section contains timely and concise commentaries on recent continuing legal education (“CLE”) events held in Singapore by institutions such as the Singapore Academy of Law, as well as both law schools. Commentaries are written with a practical bent, providing a clear summary of the event concerned, as well as how related areas of the legal sector are affected. Areas of coverage include commercial law, arbitration and mediation, general disputes and community law.